The Oral-B PC1000-2 is a professionsl care reghargeable toothbrush. 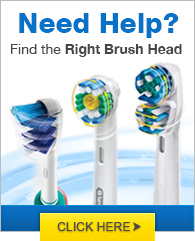 It features 3D excel brushing action that deep cleans and effectively removes plaque. 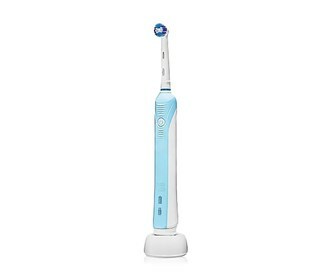 This model also carries a built-in pressure sensor, which signals you anytime you are brushing too hard. Included an Oral-B® PrecisionClean®. The Oral-B PC1000-2 has many exciting features for users of all types. See the Oral-B PC1000-2 product video and gallery images above for more details. FactoryOutletStore stocks a full line of accessories like BreathRx Antibacterial Mouth Rinse, BreathRx TongueScraper, and BreathRx Whitening Toothpaste for the Oral-B PC1000-2. The Oral-B PC1000-2 is sold as a Brand New Unopened Item. A great thing about the Oral-B PC1000-2 professional care rechargeable toothbrush that my mother & I purchased a few days back is that, it comes with 2 moving heads for two times the cleaning action. With my old manual toothbrush, I would always end up with a soar gum since at times I brushed too hard. To help me with this problem, I purchased the Oral-B PC1000-2 professional care rechargeable toothbrush that comes with built-in pressure sensor, so that I know everytime I'm brushing hard.